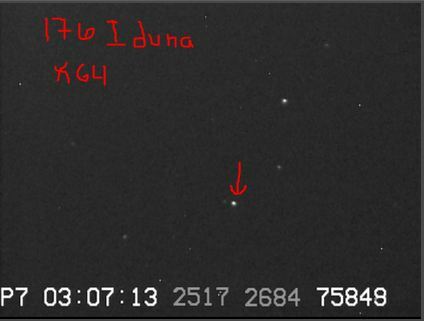 Asteroid (176) Iduna will occult TYC 0005-00935-1 on 2013 November 9 from 6:04 UT to 6:27 UT (Friday, November 8, from 10:04 – 10:27 PM Pacific Standard Time). The star has a reported magnitude of 11.9. The star’s position is RA: 00:16:39.1 DEC: +02:42:50, J2000. Similar to Comacina, the shadow of this main belt asteroid will pass north to south through over half of the RECON telescope sites and should provide a great opportunity to get several chords on the asteroid. The combined magnitude of the asteroid and star will be 12.2 and will drop by 0.9 during the occultation. This will provide us an opportunity to further test the sensitivity and dynamics of our camera system. The chart below shows the predicted path of Iduna. IMPORTANT MALLINCAM SETTING CHANGE: We would like team members to make the following change to the camera settings. Please go into the settings menu and select OPTION. In this submenu, you should change GAMMA from 1.0 to 0.45 by scrolling down to this setting and then using the left or right button on the camera. Ideally, we would love for you to make make a recording of your camera settings while you make this change along with your other camera settings and have you upload this (see bottom of this page). The estimated maximum duration for the occultation event is 13.2 seconds. Sense-up times will be different for those using the mini-DVR recorder and those using computers with “frame-grabbers.” Teams using the mini-DVR recorder should use a sense-up of x16. Teams using frame-grabbers should use a sense-up of x8. You should not go faster (smaller sense-up number) than this, although if conditions warrant and you cannot see the star in the field of view at these speeds, you can go slower (x32, x64, x128). Because it takes the Mallincam time to stabilize after changing sense-up settings, we would would like everyone to be on the field and change the sense-up time to the appropriate value listed above by 06:02:00 UT. We would like to give the camera at least 5 minutes to stabilize before recording data. All RECON sites should start recording at 06:07:00 UT and run until 06:09:00 UT (two minutes total). The waxing quarter crescent moon will be 62 degrees away and setting in the west during the event. The last column is the angular distance to the moon. A variation of the prior pointing techniques we have used at Yerington and Tonopah is to do a “precise goto” to each of the stars on the star hop list to figure out the final pointing offset pattern from the precise goto. By the time we tried this on a few we were ready to go to the final field and it worked really well to get the field quickly. Remember, you want to use sense-up of x128 for finding the field. Once you’ve got it, drop the rate back to the value to be announced above. 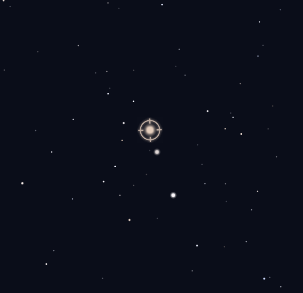 Note also that if you are using precise goto for Iduna, you are likely to be asked by the CPC-11 to center Delta Pisces before it moves on to the target field. Unfortunately, Delta Pisces is one of three reasonably bright stars in the same region of the sky. For reference, Delta Pisces is highlighted in the star chart below, which is a binocular or finder scope field of view. 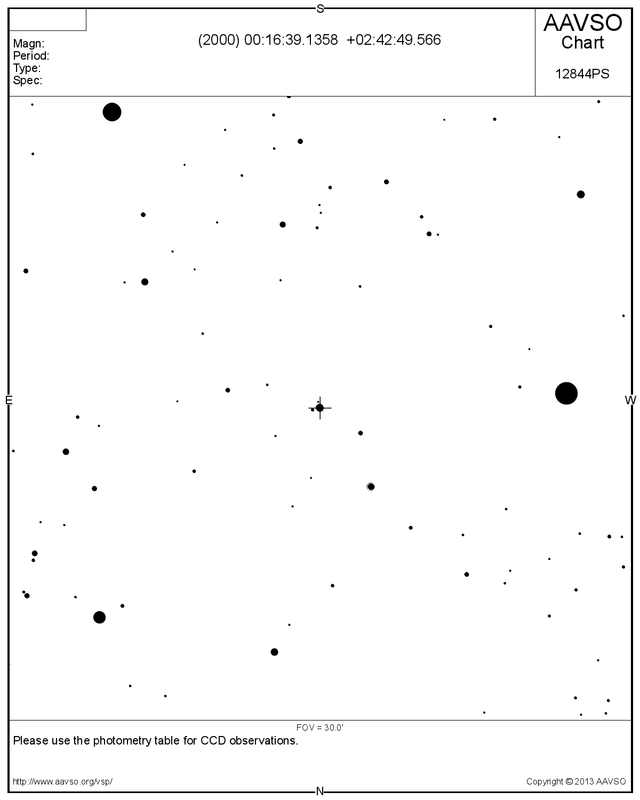 The following image of the Iduna field was provided by Jim Bean and Carson City team along with a corresponding star chart created using the AAVSO website. The field and star chart have been adjusted for a “naked-eye” orientation with north up and east to the left. Under less favorable conditions, John Keller in San Luis Obispo recorded a different orientation and field of view than imaged in Carson City. 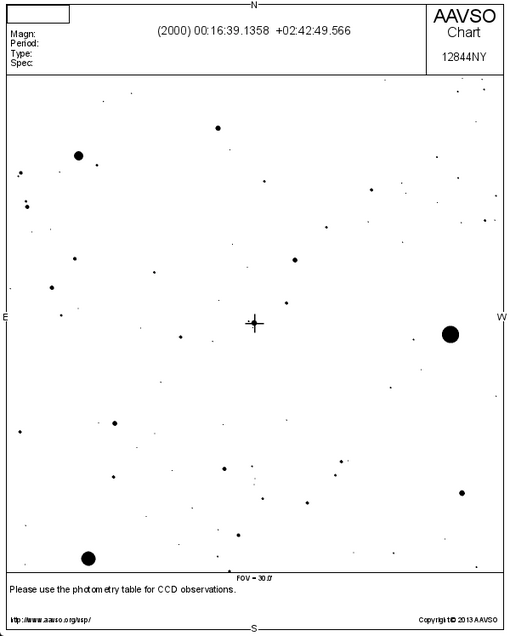 He found it useful to verify the field by including the bright star to the west of the target star (right edge of field below). 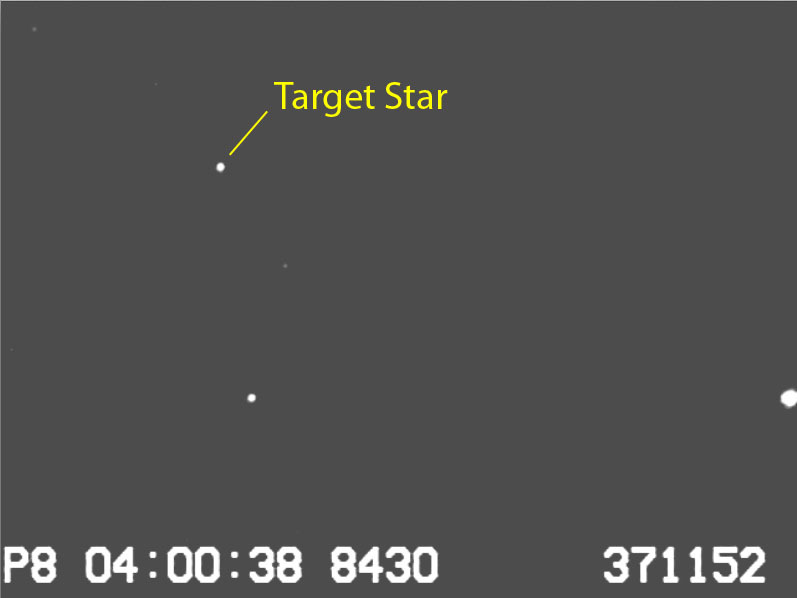 Note that the faint star to the east of the target star shown in the Carson City image above is not visible in the image shown below. The asteroid profile below shows preliminary results for Iduna. To view other asteroid results from North America, visit www.asteroidoccultation.com/observations/Results/.